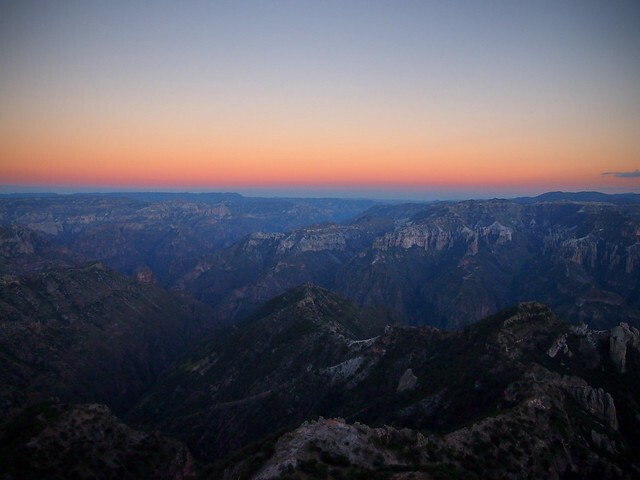 When people talk about the dangers of traveling through Mexico, two words of caution are usually given; don’t travel at night and don’t travel in the mountains. Between the news stories and personal tales from people you meet along the way it seems most of Mexico is warzone and as a traveler you will be right in the middle of it. The truth is much of the news is about the border cities and many of the people who issue warnings haven’t actually traveled in the mountains to see the areas for themselves. 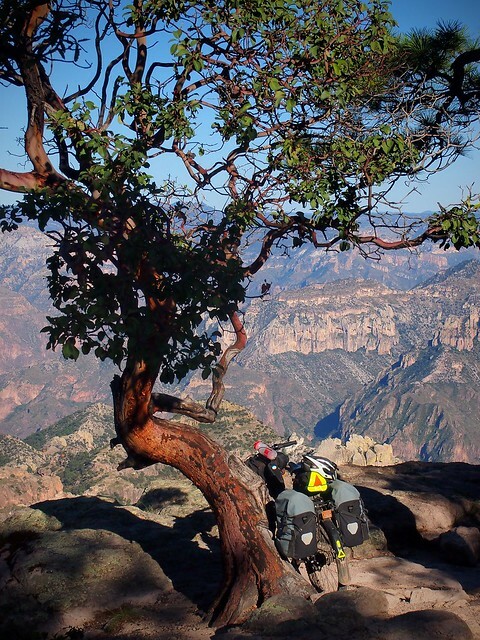 After spending a week dragging my bike through the mountains and valleys of the Copper Canyon region of I’ve come to realize, as a traveler, you are as safe here as in any rural area in the USA, maybe safer. Most people will agree that traveling through an unknown area at night is not a good idea and traveling through Mexico is no exception. There is no reason to build a fort a mile into the woods to protect yourself when the sun goes down, but basic stealth camping is a good idea. During the day however, travel as you wish and the locals are happy to see you coming through. When I reached Creel I was a little unsure of my next move – some of that paranoia had definitely seeped in. When all you are doing is looking out for the negative it becomes really hard to see the positive in an area. 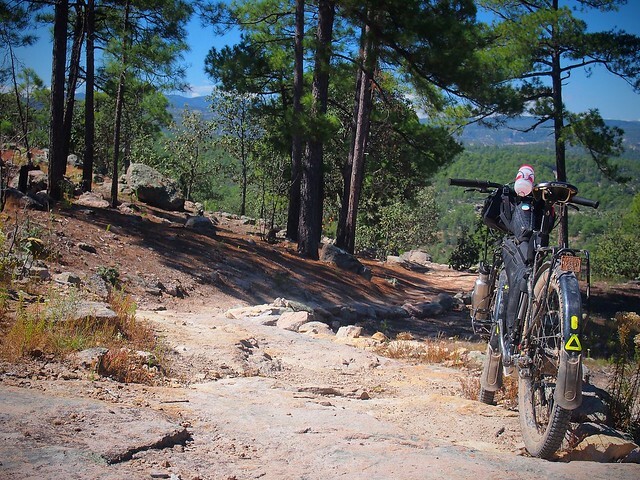 After talking with the great folks at Amigo Trails, a guide service and general source of wisdom for the Barranca del Cobre area, I decided to ride a loop from Creel to Urique then up the other side of the canyon through Samachique back to Creel. The only way to get over my paranoia was to confront it and this ride seemed like the perfect way. I decided to spend another day. 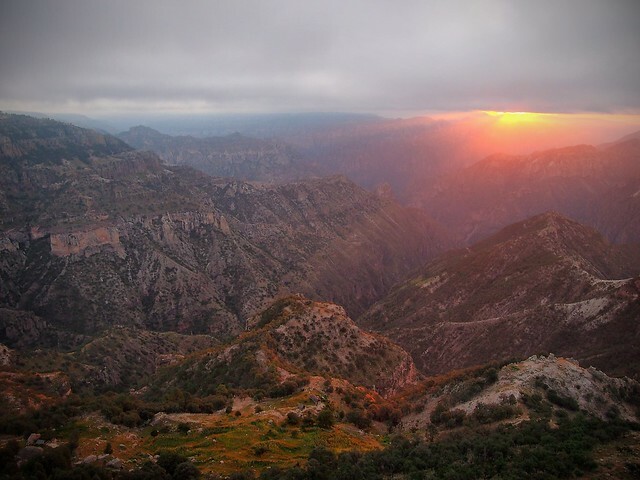 This is the land of the Tarahumara, the native Indians of Mexico who live above and below the canyon rim. Herding seems to be the primary way of life and the canyon is littered with trails from animals and people. and there’s even a bike park. and woke to some great sunrises. You can’t do this at the Grand Canyon. 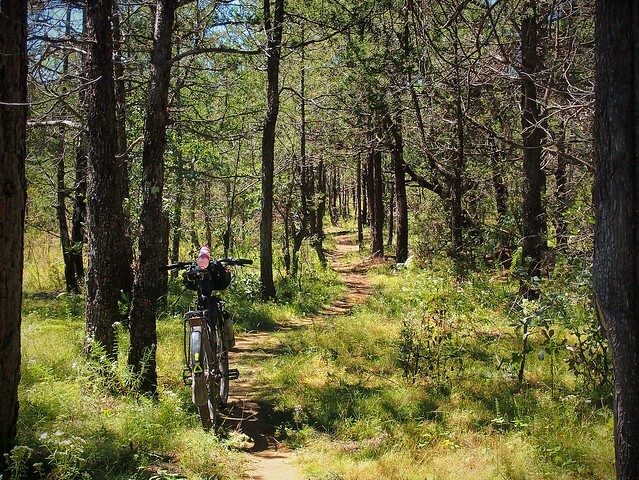 In short, the people, the trails and the area are awesome. Also, there are many great hiking trails below the rim, some of which will take you all the way down to the river. One word of caution, the wells in the area seem to be contaminated, so water is in short supply. Bottled water or a dug well hidden in Areponapuchi, the next town south seem to be the two options. I’ve been drinking local water in Mexico, including from the well in Areponapuchi and have had no problems (after a two week incubation period I definitely question this well). After lots of climbing, descending, one flat tire and two beers passed to me out the windows of passing pickups I set up camp just before the big decent into Urique. And a decent it was, almost two hours of constant down. By the time I reached Urique my brake levers were almost out of travel and my rotors were an iridescent shade of blue. Hitting the main street and turning right I was instantly offered a Tecate Roja and heading back I was offered a free place to camp. Definitely not the dangerous place I was warned about. My impression of Urique is that, for travelers, it seems to be Mexico’s Amsterdam with an endless supply of mota and happy, partying locals. The next morning I headed south out of town to where a new bridge is being built across the river, but for now there is still a knee high water crossing to the other side. From here the blue collar grunt work begins. a few donkeys, and a really nice Tarahumara man who helped me fill my water bottles and checked on me in the morning to see if I needed anything. Hmm, no danger yet. I was told about a tienda in a small town on the way to Samachique and spending my money there was my goal for the day. Thoughts of a cold beverage and maybe….. ice cream filled my head. 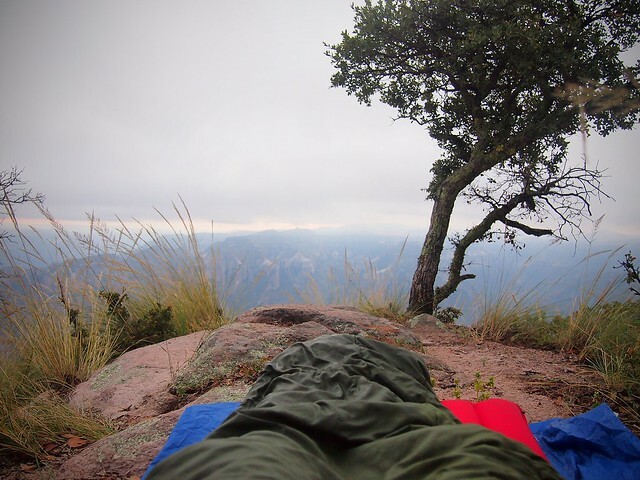 As it turned out there was a lot of ground to cover between my camping spot and that bebida frio. After a lot of climbing, descending, guessing at forks in the road (fortunately I guessed right) and then climbing again I finally reached the store, only to find out it was closed for siesta. Not a lot of outsiders come through this area, so few that the school dismissed all of the students just so they could stare at me. I say this in the kindest way possible, but I’ll admit, I’ve never had so many eyes follow my every move and leap back as soon as I made eye contact back. Fortunately the person who owned the store opened it for me so I could get my sugar fix and I entertained the town by drinking an entire two liter bottle of Coke, but unfortunately there was no ice cream to continue the show with. I returned back to the place I started from, exhausted but enlightened. Everyplace has it’s dangers and Mexico is no exception, but as a tourist (and I really dread that word) and really as the average Mexican citizen, you inhabit a part of the spectrum that the news doesn’t cover. Friendly people who pass beers out the windows of their vehicles, regardless of what they do for a living, don’t glue people to their brain washing TVs, but gruesome murders committed by one mafia member against another do, so that is the message that is sent. 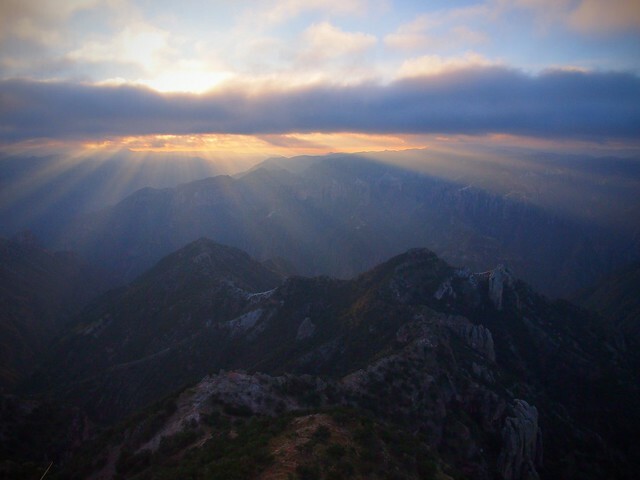 If you go to Mexico to take part in that side of the business world you may make the news as well, but if you go there to travel and learn, chances are you will see the best of what the country has to offer. As I write this I am back in Douglas Arizona, picking up a few much needed bike parts, shipping some unneeded kit home, finishing up some work and enjoying my last days in the states for the foreseeable future. I’m stocking up on pancake breakfasts and peanut butter, two hard to come by enjoyments in Mexico, but I miss the fresh avocados, apples, and the adventure. In a few days I’m taking a bus south to Nuevo Casas Grandes, then back into the mountains from there. I’d rather take my chances with beer passing locals who shout Pedal Amigo than urban barking dogs and semi trucks. I miss you two as well and am sending lots of love back. Looks like some awesome riding. We didn’t go through that part of Mexico, and this certainly makes me wish we did!